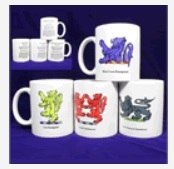 Display your Irish Coat of Arms and Irish Family Clan Crest with pride. 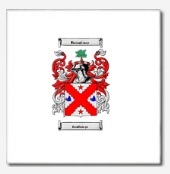 Irish Surname histories and family crests on frames, hand painted wooden plaques, clip art, shirts, caps and more! 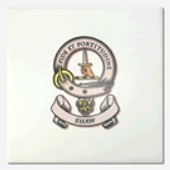 Irish Clan Crest Badge Print - Full color print of your Irish Clan Badge with Irish Clan name and motto on parchment style paper. 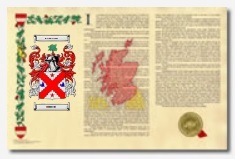 Irish Armorial History with Coat of Arms - Irish Coat of Arms, Family Crest and Surname History with bibliography in full color parchment style paper. 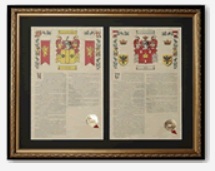 Irish Coat of Arms with Frame - Full colored Irish Family Coat of Arms displayed on sturdy wooden frame. 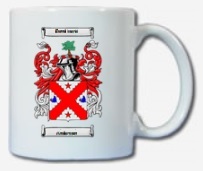 Display your Irish Family Crest and Coat of Arms on beer steins, coffee mugs, mousepads, wood plaques, men's t-shirts, and women's t-shirts.